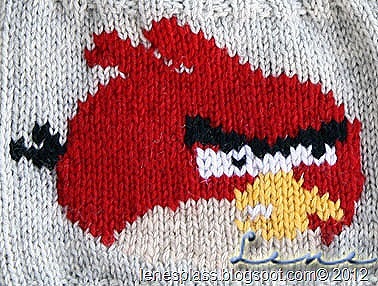 THE FUZZY CORNER: Knit your own Angry Birds Cap! 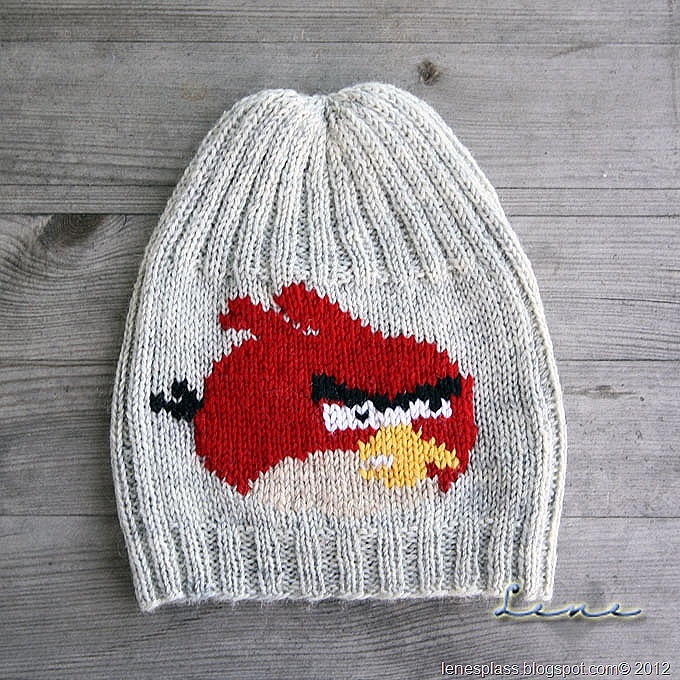 Knit your own Angry Birds Cap! 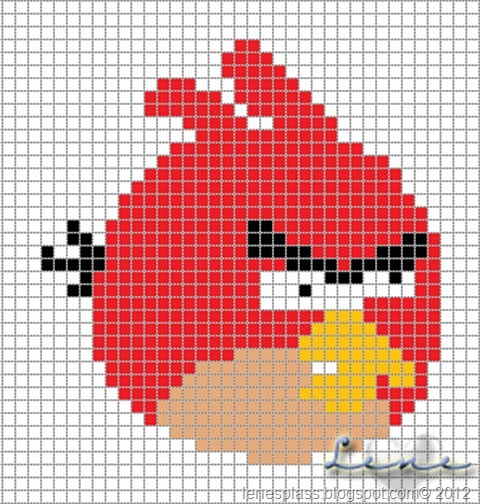 Like Angry Birds? Well then you're gonna love this cap I stumbled across. 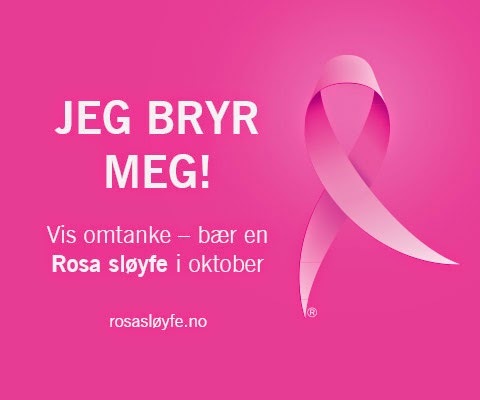 I found this at a Norwegian blog called Lenesplass. Lene shares all sorts of creative works. Scraps of a slightly thicker yarn for the Angry bird. 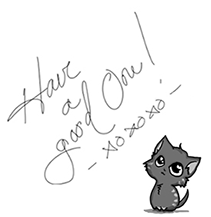 I have used Smart from Sandnes Garn, in colors: red, beige, orange, black and white. This hat is worked in the round on circular needle and then on double pointed needles. Rounds begin mid back. I recommend using a stitch marker to help you keep track on where the new round start. Cast on 96 (104) sts on circular needle size 2.5 mm. Work in k2p2 for ribbing, for 3 cm (1⅛ inch). Switch to needle size 3.00 mm. Knit k2p2 for 18 (26) rounds. Switch to the double pointed needles when it becomes uncomfortable to knit with the circular needle. Cut the thread and pull it through the remaining sts and tighten together. Use the chart and stitch the Angry bird in front of the hat.